On a walk through Chinatown, we were instantly attracted to a crate of tiny prickly red spheres. Upon realization that they were lychees, we immediately bought a quart and brainstormed how to incorporate the gems into a cocktail on our walk back to the North End. Cracking open one of the Chinese fruit’s spiky shells, we were engulfed by the rosy aroma and pearlescent sweet and slippery pulp. 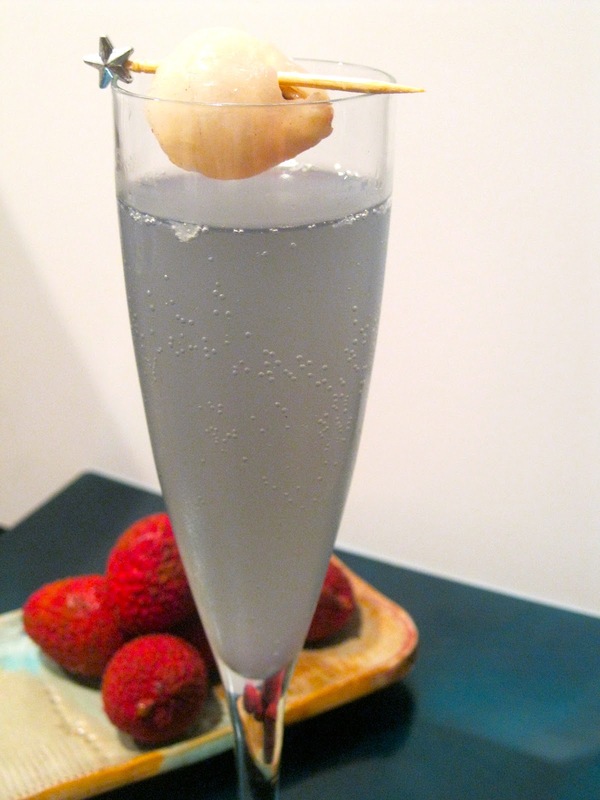 We decided to pair the lychee with a floral Crème de Violette liqueur for a hint of color. The foggy lilac hue almost mirrored the misty haze outside. In a martini shaker, pour the ice, vodka, lychee juice and Crème de Violette. Shake for 10-15 seconds and strain into a champagne flute. Top with Champagne and a fresh skewered lychee. The best part is eating the fresh lychee at the end!